This entry was posted on August 28, 2017 by admin. Cybersecurity requires strategy to succeed and that means putting your priorities in the right place. CISOs and other infosec pros must up their game to make protecting patients the top concern. It probably won't surprise you that privacy, security, quality and safety are some of the most relevant topics to hospital executives and health IT pros these days. At first glance, they might seem to stand at nearly opposite ends of the continuum linking healthcare and technology. While privacy and security are focused largely on technical infrastructure, quality and safety are focused on best practices for clinical care delivery. But they have more in common than would first appear – especially as security threats are becoming all-enveloping and insidious, and increasingly threatening todisable critical clinical systems, potentially for weeks (or more) at a time. Sound security practices aren't just about maintaining HIPAA compliance or preventing embarrassing breaches from making headlines anymore. With ransomware running rampant and cyber criminals honing their craft in ever more creative ways, the protection of critical IT systems and connected medical devices goes to the heart of patient safety. A pair of recent studies outline the severity of the threat, but also offer rays of hope that hospitals may finally be finding their way to getting a handle on security strategies. The Report on Improving Cybersecurity in the Healthcare Industry, published in June by the Healthcare Industry Cybersecurity Task Force at the U.S. Department of Health and Human Services highlights the distinction between technology and quality/safety that's fast becoming obsolete. "Within the healthcare industry, cybersecurity has historically been viewed as an IT challenge, is approached reactively, and is often not seen as a solution that can help protect the patient," HHS officials wrote. Without having experienced a costly breach, HHS added, the value of robust security practices was often hard to even articulate: "Many security professionals and organizations have difficulty demonstrating the importance of cyber protections and how proactive risk mitigation can save money and protect against reputational damage in the long-term." Increasingly, of course, it's becoming harder and harder to ignore the imperative of good security. And it's certainly harder to pretend that protecting a hospital from OCR fines or negative PR is the primary goal for keeping patient data on lock. HHS sees positive signs – "organizational culture shifts and increased support and direction from leadership" – that are leading to "changes to the way providers perform their duties in clinical environments." But there's hard work to do. One of the must-dos listed in the department's report is for hospitals to bolster security and resiliency of medical devices for the clinical systems to which they connect. "The healthcare and public health sector is charged with keeping patients safe," officials wrote. "This includes physical and privacy related harms that may stem from a cybersecurity vulnerability or exploit. If exploited, a vulnerability may result in medical device malfunction, disruption of health care services (including treatment interventions), and inappropriate access to patient information, or compromised EHR data integrity. Such outcomes could have a profound impact on patient care and safety." HHS sees some foundational challenges that need fixing in order to shore up the security of devices, EHRs and legacy operating systems, such as secure development lifecycle, authentication and strategic approaches to product management and maintenance. With little to be done about those lengthy product development lifecycles, HHS suggests that providers explore "creative ways" of keeping key systems safe by "engaging key clinical and cybersecurity stakeholders, including software vendors." Indeed, the companies that make those legacy systems – devices and EHR applications alike – have responsibilities too. "Every vendor and healthcare organization should be able to identify and classify legacy systems and develop an approach (e.g., compensating controls, device update, device retirement, network segmentation, or innovative architectures) to mitigate the associated risks." Gratifyingly, the healthcare industry is making progress on protecting patients by protecting its clinical systems, as evidenced by the newest HIMSS Cybersecurity Survey, released this past week. 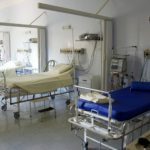 A commanding majority of respondents to the poll (85 percent) said their organizations conduct an annual risk assessment – a minimal must-do, to be sure – and the findings suggest that hospitals' priorities are in the right place, with device security a top priority and patient safety the biggest driver for improvement efforts. "Senior information security leaders know that cyber-attacks on medical devices may lead to serious consequences, especially if the medical device is life-sustaining or life-saving," according to HIMSS. "A hacked insulin pump may deliver a fatal bolus of insulin to a patient. 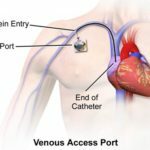 A 'connected' pacemaker may deliver a fatal shock to a patient. The technical know-how and skill set exists among cyber adversaries to compromise these devices. Unfortunately, it is a matter of 'when' and not 'if.' This is not a theoretical problem." Given the lack of awareness, let alone readiness, around clinical IT security just a few years ago, it's encouraging that in the face of such a stark set of facts, hospitals are upping their game, empowering their CISOs to embrace holistic cybersecurity practices to steady the footing of ever-vulnerable hospitals. While other industries have had decades to establish security best practices, healthcare is admittedly late to the game. But the myriad security incidents that have buffeted providers these past few years have been a resoundingly loud wake-up call. Thankfully, hospitals are finally benefiting from "heightened situational awareness, know-how, and acumen" and making "significant strides" in protecting their mission-critical technology. Hi there, I enjoy reading all of your post. Like!! I blog frequently and I really thank you for your content. The article has truly peaked my interest. I wish to express my appreciation to the writer just for rescuing me from this particular predicament. As a result of looking throughout the search engines and finding views which are not productive, I thought my entire life was well over. Being alive devoid of the solutions to the issues you have resolved all through your main report is a critical case, as well as those which may have negatively affected my career if I had not discovered your blog. Your own ability and kindness in maneuvering every aspect was important. I'm not sure what I would've done if I hadn't discovered such a stuff like this. It's possible to at this point look forward to my future. Thank you very much for the expert and amazing help. I won't hesitate to suggest your site to any individual who desires tips on this problem. Highly energetic article, I liked that bit. I am regular reader, how are you everybody? This post posted at this web site is in fact nice. I was suggested this web site by my cousin. I'm not sure whether this post is written by him as nobody else know such detailed about my trouble. I seriously love your website.. Excellent colors & theme. you got this from or just what the theme is called. Many thanks! I visited various web sites but the audio feature for audio songs present at this web page is truly wonderful. obviously like your web-site however you have to take a look at the spelling on several of your posts. then again I will surely come back again. achievement you access consistently rapidly. I am often to running a blog and i actually admire your content. The article has actually peaks my interest. I am going to bookmark your web site and keep checking for brand new information. Youre so cool! I dont suppose Ive read something like this before. So good to seek out someone with some original thoughts on this subject. realy thank you for starting this up. this web site is something that is needed on the net, someone with slightly originality. useful job for bringing something new to the web! Aw, this was a very nice post. In idea I wish to put in writing like this additionally ?taking time and precise effort to make an excellent article?however what can I say?I procrastinate alot and under no circumstances appear to get something done. My spouse and i ended up being so peaceful Michael could conclude his studies through the entire ideas he acquired in your site. It is now and again perplexing just to find yourself offering tips and hints other people have been selling. We really figure out we've got the blog owner to appreciate for this. All of the explanations you have made, the straightforward site menu, the relationships your site give support to instill - it's got many sensational, and it is facilitating our son and our family reason why the subject is fun, and that's seriously vital. Thank you for the whole lot! Thanks a lot for providing individuals with such a wonderful opportunity to read critical reviews from here. It really is so amazing and packed with a lot of fun for me and my office co-workers to visit your web site minimum thrice every week to learn the latest guidance you will have. Of course, I'm certainly amazed for the stunning information served by you. Selected 4 tips in this posting are undeniably the finest we have ever had. I as well as my pals came going through the best guidelines on your site while then I got an awful suspicion I never thanked the site owner for those secrets. The ladies were definitely for this reason excited to learn all of them and now have in reality been taking pleasure in them. I appreciate you for simply being simply kind and also for using this form of exceptional subjects millions of individuals are really desirous to know about. My honest apologies for not expressing appreciation to sooner. Thanks so much for giving everyone an extraordinarily wonderful possiblity to discover important secrets from this blog. It's always so enjoyable and packed with a good time for me and my office friends to search your web site minimum 3 times weekly to see the fresh guidance you will have. And of course, I am also always satisfied with the staggering hints you give. Selected 1 facts in this post are in reality the finest we've had. I'm just commenting to make you understand of the beneficial experience my friend's daughter experienced viewing your web site. She came to find plenty of pieces, with the inclusion of what it is like to possess a marvelous giving character to make the mediocre ones really easily learn several complicated subject areas. You really did more than people's expectations. Thank you for distributing such effective, safe, revealing and fun guidance on your topic to Lizeth. I happen to be writing to let you be aware of what a fantastic encounter my wife's girl encountered reading your web page. She mastered so many issues, most notably what it is like to have a wonderful giving spirit to let the rest just fully grasp certain complicated subject areas. You undoubtedly exceeded our expectations. I appreciate you for distributing these insightful, trustworthy, explanatory and as well as cool tips on that topic to Jane. Thanks for your whole hard work on this web page. Kate enjoys conducting internet research and it's really obvious why. A lot of people notice all relating to the powerful method you present rewarding items on this web site and as well as foster response from the others on this concept while our girl is always understanding a great deal. Take pleasure in the rest of the new year. You're performing a good job. My wife and i felt joyful that Emmanuel could conclude his analysis because of the ideas he grabbed while using the site. It is now and again perplexing to simply choose to be offering points which often people may have been trying to sell. And we do know we have got the writer to appreciate because of that. The specific explanations you have made, the simple site menu, the relationships you can give support to foster - it is most terrific, and it is facilitating our son and us feel that that subject matter is enjoyable, and that is quite serious. Thanks for everything! My wife and i got peaceful that Raymond could deal with his investigations from your ideas he gained from your own blog. It's not at all simplistic to simply find yourself making a gift of tricks which many people may have been making money from. And we acknowledge we now have the blog owner to appreciate because of that. The specific explanations you've made, the straightforward blog navigation, the friendships you make it possible to promote - it's many unbelievable, and it's really aiding our son in addition to our family understand the content is awesome, which is exceptionally mandatory. Thank you for everything! Needed to compose you a very little observation to say thanks the moment again about the wonderful tricks you've featured in this case. This has been so strangely open-handed of you to deliver freely what exactly some people would've offered for sale for an e-book to generate some profit for themselves, primarily considering the fact that you might have done it in the event you wanted. The smart ideas additionally served as a fantastic way to know that other people have similar eagerness like my personal own to know the truth a lot more when considering this matter. I'm certain there are several more pleasurable opportunities up front for many who look over your site. My husband and i ended up being really contented Michael could deal with his survey through your precious recommendations he obtained in your weblog. It's not at all simplistic to simply find yourself releasing information that others might have been making money from. And we also figure out we've got the blog owner to give thanks to for that. Those explanations you've made, the simple site navigation, the relationships you can help instill - it's got many spectacular, and it is aiding our son in addition to us know that the topic is satisfying, and that's unbelievably fundamental. Thanks for the whole thing! I in addition to my pals have been reading through the nice suggestions from the website and instantly developed a terrible suspicion I had not thanked the blog owner for those tips. My women ended up consequently passionate to read through all of them and already have in truth been using those things. Appreciate your truly being really thoughtful and also for making a choice on variety of smart subject matter millions of individuals are really desirous to understand about. My personal sincere apologies for not expressing gratitude to you sooner. Needed to draft you one little word to finally give many thanks again for your incredible basics you have featured above. It has been simply shockingly generous of people like you to provide freely all many of us would have offered for sale as an e book to get some money on their own, notably considering the fact that you might well have tried it in the event you desired. Those concepts additionally worked like the good way to comprehend other people have similar dream just as my own to know whole lot more in terms of this condition. I'm certain there are millions of more pleasant times ahead for people who start reading your website. I would like to point out my appreciation for your generosity giving support to persons who need help with this subject. Your real dedication to passing the solution all over had become extremely insightful and have specifically encouraged individuals like me to reach their dreams. This warm and helpful help indicates this much to me and far more to my office colleagues. With thanks; from everyone of us. My wife and i felt so joyful Ervin managed to round up his analysis through your precious recommendations he obtained out of your web page. It is now and again perplexing to simply continually be offering concepts that many people today might have been trying to sell. Therefore we grasp we have got you to be grateful to because of that. The entire illustrations you have made, the simple site navigation, the friendships your site make it possible to instill - it's got everything wonderful, and it's really leading our son and us recognize that the idea is satisfying, which is truly mandatory. Many thanks for the whole lot! I am just writing to make you understand what a impressive experience my cousin's princess obtained using your web site. She picked up numerous issues, most notably what it's like to have a wonderful coaching mood to get others clearly understand various problematic topics. You truly did more than my desires. Many thanks for coming up with those useful, trustworthy, informative not to mention unique tips about this topic to Sandra. I needed to create you a little remark just to say thank you the moment again on your marvelous secrets you have contributed here. It is so surprisingly generous of you to deliver easily what a lot of people might have offered for sale for an electronic book in making some money for their own end, principally considering the fact that you could have tried it if you ever decided. These good ideas also acted to become good way to know that most people have a similar dreams just as mine to figure out a whole lot more in respect of this problem. I'm certain there are numerous more pleasurable moments ahead for folks who look over your site. I as well as my buddies came going through the good hints on your web blog and at once I got a horrible feeling I had not expressed respect to you for those techniques. All the young men had been as a consequence excited to learn all of them and have simply been using these things. Many thanks for being very thoughtful and also for going for variety of useful things most people are really desirous to be aware of. My honest apologies for not expressing appreciation to you earlier. Thank you so much for providing individuals with an extraordinarily wonderful chance to read articles and blog posts from here. It really is very awesome plus packed with a lot of fun for me personally and my office co-workers to visit the blog at a minimum 3 times every week to read the latest issues you will have. And indeed, I am certainly happy considering the staggering ideas you serve. Certain two areas in this posting are surely the most suitable we have ever had. I actually wanted to write down a remark to be able to say thanks to you for some of the magnificent points you are writing on this website. My incredibly long internet research has finally been recognized with reasonable facts to share with my good friends. I would point out that we site visitors actually are definitely endowed to be in a useful network with many outstanding people with valuable plans. I feel very much happy to have used your web page and look forward to tons of more fabulous moments reading here. Thanks once more for everything. I and also my pals appeared to be reviewing the good points found on your web page and so at once got a horrible feeling I had not thanked the blog owner for those techniques. All of the guys were absolutely happy to read them and have in effect definitely been taking pleasure in them. Thank you for being simply considerate and also for figuring out these kinds of perfect guides millions of individuals are really desperate to discover. Our honest apologies for not saying thanks to you earlier. I wanted to write down a small word to be able to thank you for some of the unique secrets you are sharing at this website. My time-consuming internet investigation has at the end been rewarded with excellent insight to write about with my co-workers. I would admit that we website visitors actually are unequivocally fortunate to be in a very good network with very many wonderful individuals with good concepts. I feel really lucky to have discovered your entire web pages and look forward to many more amazing times reading here. Thank you once again for everything. I have to express my appreciation to you just for bailing me out of this instance. Because of surfing around throughout the world-wide-web and seeing suggestions which are not pleasant, I assumed my life was over. Being alive without the approaches to the issues you've sorted out as a result of your good article content is a serious case, as well as those that would have negatively affected my career if I hadn't discovered your web blog. Your skills and kindness in maneuvering everything was precious. I don't know what I would have done if I had not encountered such a stuff like this. I'm able to at this time look forward to my future. Thanks a lot very much for the reliable and sensible help. I will not think twice to endorse the website to any individual who needs and wants assistance about this issue. I want to show some thanks to this writer for rescuing me from this particular predicament. Because of surfing through the internet and obtaining recommendations that were not powerful, I was thinking my entire life was well over. Being alive devoid of the answers to the problems you have sorted out all through your article content is a serious case, and ones that could have in a wrong way damaged my entire career if I had not noticed your web blog. Your own personal natural talent and kindness in maneuvering a lot of stuff was vital. I'm not sure what I would've done if I had not come upon such a point like this. I am able to at this time relish my future. Thanks for your time so much for this high quality and sensible help. I won't think twice to suggest your blog post to any individual who needs to have assistance on this problem. I happen to be commenting to let you know of the helpful experience my wife's girl enjoyed going through your site. She realized some issues, with the inclusion of what it's like to possess an ideal giving nature to have folks with ease know just exactly specified advanced matters. You actually did more than her expected results. Thank you for imparting those productive, trustworthy, revealing and as well as fun thoughts on the topic to Tanya. I precisely had to thank you very much yet again. I am not sure the things I might have followed without the entire tips and hints shared by you over my situation. It truly was a real hard situation in my circumstances, however , noticing a new skilled approach you dealt with it made me to jump over happiness. I'm just thankful for this support and thus pray you know what an amazing job you are doing teaching other individuals thru your websites. Probably you have never got to know any of us. Thanks so much for giving everyone an extremely memorable opportunity to read in detail from this website. It is usually very cool and also jam-packed with a lot of fun for me personally and my office fellow workers to visit your website at minimum thrice every week to read the newest secrets you have. Not to mention, I'm so at all times astounded concerning the dazzling methods served by you. Selected 1 facts in this article are really the very best I have ever had. I have to express my thanks to you just for bailing me out of this circumstance. As a result of researching through the search engines and coming across principles which were not productive, I was thinking my entire life was over. Living without the presence of solutions to the issues you've sorted out through your site is a crucial case, and the kind which might have in a wrong way affected my career if I had not encountered your blog post. Your own understanding and kindness in taking care of all the things was very useful. I'm not sure what I would've done if I had not come upon such a stuff like this. It's possible to now look ahead to my future. Thanks very much for the skilled and effective help. I won't think twice to refer your web page to any person who should have guidelines about this area. I precisely desired to appreciate you once again. I'm not certain what I would have worked on in the absence of these methods contributed by you on this area of interest. It had become a real frustrating situation in my circumstances, nevertheless taking a look at a professional manner you treated the issue made me to weep over contentment. I'm thankful for this work as well as have high hopes you realize what a great job you are always undertaking instructing the rest using your blog. More than likely you haven't met all of us. I am also commenting to let you understand what a helpful discovery my cousin's child experienced checking your blog. She picked up many pieces, most notably what it's like to possess a very effective teaching nature to let the mediocre ones with no trouble comprehend various tricky issues. You truly exceeded visitors' desires. I appreciate you for offering those effective, dependable, revealing and fun guidance on that topic to Evelyn. I am writing to let you know of the amazing discovery my wife's daughter undergone reading the blog. She learned a lot of things, which include what it is like to possess an excellent teaching nature to have many more with no trouble fully grasp specified grueling issues. You actually surpassed readers' desires. I appreciate you for producing such interesting, healthy, informative and easy tips on this topic to Julie. I wish to express my appreciation to the writer just for bailing me out of such a predicament. Just after surfing through the the net and seeing ways which were not powerful, I assumed my life was over. Being alive minus the answers to the problems you have resolved by way of your main short article is a critical case, and ones which may have badly affected my career if I had not come across your website. Your personal natural talent and kindness in touching all the things was useful. I don't know what I would have done if I had not encountered such a subject like this. It's possible to at this point relish my future. Thanks so much for this impressive and amazing guide. I won't hesitate to propose your web blog to any individual who needs to have guidelines about this topic. I as well as my buddies have been going through the best tips and tricks from your web page and then instantly I had a terrible suspicion I never thanked you for those secrets. All the young boys became totally thrilled to see all of them and have in effect actually been using them. We appreciate you getting so thoughtful as well as for considering varieties of essential themes most people are really wanting to discover. My personal sincere regret for not expressing gratitude to earlier. © 2017 BODHE. All Rights Reserved.